Shopify is empowering small to big e-commerce brands from all over the world. In the annual Unite Conference conducted in 2019, this e-commerce platform has announced the release of new features in the coming year – 2019. 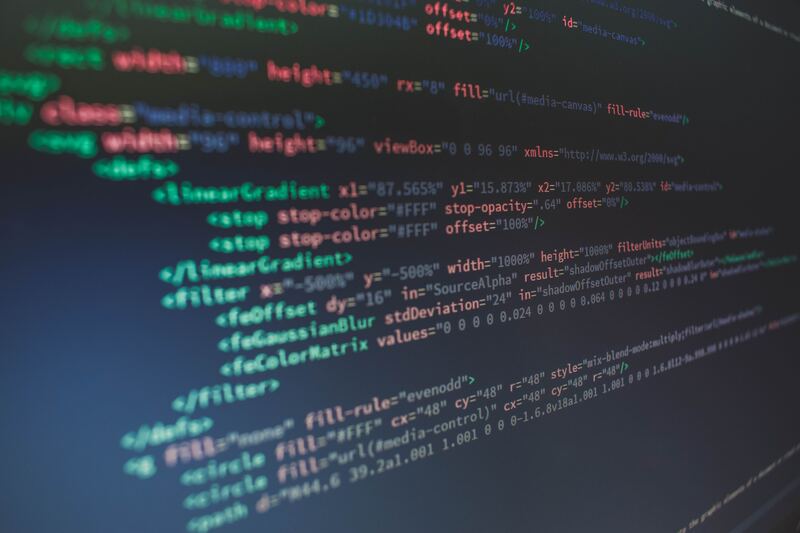 In this article, we’ll share insight on all the recent updates in this platform taken place recently in the year 2019 that every Shopify development company must know. If your clients are new to e-commerce business, then they may find it difficult to manage shipping settings. It may be a quiet time consuming and overwhelming experience for them. We understand that the complexities of shipping aren’t your cup of tea however you can set up your client’s for success with all new Shipping Toolkit to get a better understanding of ins and outs of the shipping. The Shipping Toolkit is mainly comprised of two resources – Pitching Shipping and Shipping 101. Let’s have a look at the details of both of these resources. Pitching Shopify Shipping – This guide provides complete details on hardware requirements and set-up qualifications. Shopify Shipping 101 – This guide details top features and benefits of Shopify Shipping for the merchants. As a Shopify app development company, you can use its content for your branded promotions. Shopify Sales Toolkit: This toolkit lets you know how to make your clients understand why it is beneficial for any e-commerce business. Shopify POS Toolkit: This toolkit provides crucial insight into the Point-of-Sale (POS) system. It will provide you complete details on this system and its features. 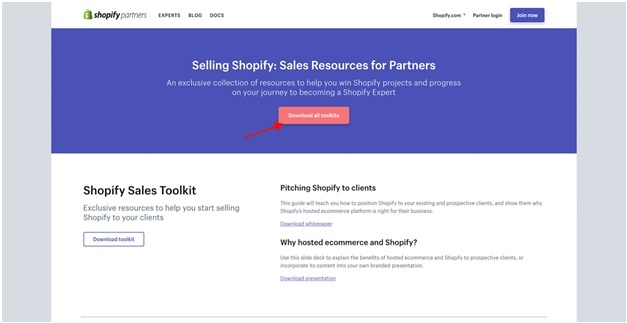 Shopify Plus Toolkit: This toolkit provides complete details on how to identify the sales opportunities and make your clients understand the value of Shopify Plus. This guide has detailed information on all the know how you need for selling your services to fast-growing and high-volume merchants. You’ll be glad to know that Shopify goes multilingual. The platform is transforming at a faster pace to make commerce better for everyone. You can help your clients to use a translated and localized dashboard who are not fluent in English build their own dream online store. You can change the setting of your Partner Dashboard by clicking on Settings, then Edit Profile. You can follow the below screenshot for a better understanding. • Affiliate link referrals: For every new store owner located in Germany, France, Singapore, or Japan, you can earn 300% commission bounties if they sign up via your affiliate link. • Development store referrals: Here, you’ll get an amazing opportunity to earn 30% revenue share of merchant’s monthly subscription fees on development store referrals of merchants residing in Germany, France, Japan, and Singapore. • With the Go Global theme, Shopify Payments is now working to allow its merchants to offer their customers local payment methods for the successful payments. You’ll agree with the fact that this hyperlocal customer experience is essential for your global expansion. • Local payment methods allow customers to make successful payments with their preferred payment method. Local payment methods will assist your merchants to build trust with your international audience. Shopify Payments will be launching local payment methods soon in 2019. You can always keep an eye on the Shopify changelog for recent updates. • Get ready for seamless selling by letting your customers with all-new tap & chip reader from Shopify. This Tap & Chip Reader will be synced with your store and also enable you to offer secure shopping in one go. • Now, the POS is empowered with a tipping functionality. It allows your merchants to allow their customers to share reward for them for their Steller services. • Now, you can enable your merchants to offer exchange and refunds in store. Just by removing all the hassles of returns, your merchants will build up a better level of trust with their customers. • The new innovations in Shopify will attract more and more merchants to migrate to this platform. All these new and advanced features will definitely assist you to provide better e-commerce solutions to the merchants. • In case, you are looking for Shopify website development services, you can always hire Shopify web developers from us. We’re always happy to assist you. Please contact our sales team now. • Meta Description: Shopify development services can now be more enriched with the latest innovations in 2019. Read the article to know more.